GSI AP Nursery Slat is one of the best, robust, and durable floor. 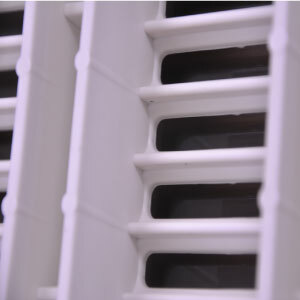 Tradition and pioneering in design and manufacture of plastic floors for pig farming. 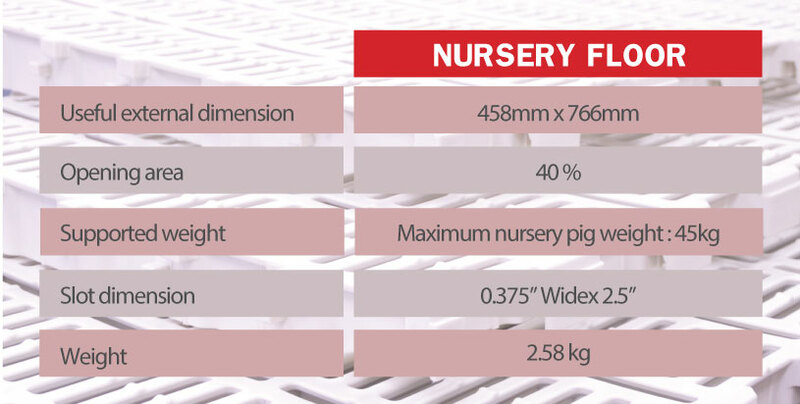 Nursery flooring produces a warm, dry and comfortable environment for new born to 45 kg. The flooring features traction breaks to prevent injuries to pigs caused by shipping. The ivory color does not hide contaminats and reflects light brightening nursery room interiors. AP Nursery Slat interlock on all four sides to insure that panels stay in place. 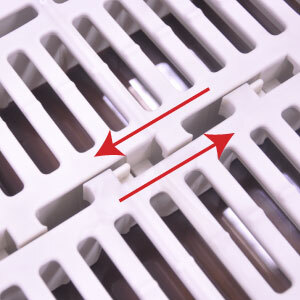 The T-shape Semi-tapered slat profile prevents accumulation on the underside of the floor and is easily accessible for cleaning. detergents, solution for disinfection, weak acids or animal urine.